A welcome return for Earth Fair darlings Toupe as they take the short hop over the water from Southampton for the next Vale Earth Fair Fundraiser. 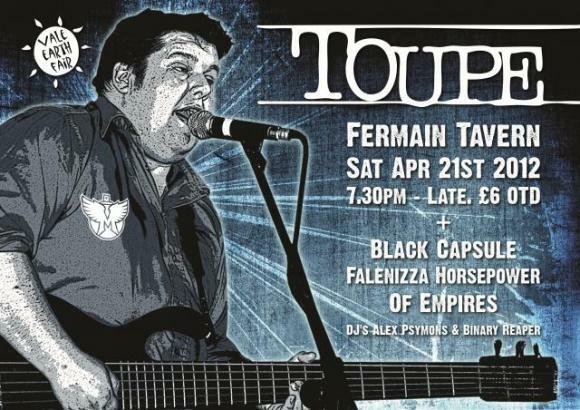 Ably supported by local supergroup Black Capsule already creating a stir despite having only played one gig so far, and Jersey favourites Felanizza Horsepower. Completing the line up is a debut for Of Empires - should be a rockin night, with DJ support coming from Alex Psymons and Binary Reaper.